BEVERLY HILLS, CA--(Marketwired - July 20, 2015) - Genius Brands International, Inc. (OTCQB: GNUS) (GBI), a global brand and content management company providing entertaining and enriching 'content and products with a purpose' for toddlers to tweens, will host an investor conference call on Wednesday, July 29, 2015 at 12:00 p.m. Eastern time (9:00 a.m. Pacific time). Genius Brands CEO Andy Heyward and President Amy Heyward will host the call, followed by a question and answer period. They will discuss recent operational progress and provide an outlook for the company's plans and objectives, including the upcoming September launch of a new animated series, new consumer products, and premier of the Kid Genius Channel on Comcast's XFinity on Demand. Live audio of the conference call will also be accessible online, along with a slideshow presentation, via this link: http://public.viavid.com/index.php?id=115486. The presentation will also be downloadable via the investor relations section of the Genius Brands website at www.gnusbrands.com. A replay of the conference call will be available after 3:00 p.m. Eastern time on the same day through September 29, 2015. Headquartered in Beverly Hills, California, Genius Brands International, Inc. (OTCQB: GNUS) is a publicly traded global brand management company that creates and licenses multimedia content for toddlers to tweens, as well as develops comprehensive consumer products programs based on these original intellectual properties. Led by award-winning creators and producers, CEO Andy Heyward and President Amy Moynihan Heyward, GBI creates "content and products with a purpose" that are both entertaining and enriching for kids. GBI's growing library of content includes the award-winning Baby Genius, Warren Buffett's Secret Millionaires Club, Thomas Edison's Secret Lab, and Llama Llama (from the NY Times bestselling children's book franchise). It also includes Stan Lee's Mighty 7 as the first project produced from Stan Lee Comics, a joint venture with Stan Lee's POW! Entertainment. For additional information, visit www.gnusbrands.com. A Squared Entertainment, a wholly owned subsidiary of Genius Brands International, is a brand management and licensing company that represents third-party properties across a broad range of categories in territories around the world. The company currently represents: Psycho Bunny, a luxury apparel line; From Frank, a humor greeting card and product line; and Celessence Technologies, the world's leading microencapsulation company. Certain statements in this press release constitute "forward-looking statements" within the meaning of the federal securities laws. Words such as "may," "might," "will," "should," "believe," "expect," "anticipate," "estimate," "continue," "predict," "forecast," "project," "plan," "intend" or similar expressions, or statements regarding intent, belief, or current expectations, are forward-looking statements. While the Company believes these forward-looking statements are reasonable, undue reliance should not be placed on any such forward-looking statements, which are based on information available to us on the date of this release. These forward- looking statements are based upon current estimates and assumptions and are subject to various risks and uncertainties, including without limitation those set forth in the Company's filings with the Securities and Exchange Commission (the "SEC"), not limited to Risk Factors relating to its business contained therein. Thus, actual results could be materially different. The Company expressly disclaims any obligation to update or alter statements whether as a result of new information, future events or otherwise, except as required by law. The Secret Millionaires Club animated series from Genius Brands International is created in partnership with and starring an animated Warren Buffett and features a group of kids who have adventures in business. The series makes it fun for kids to learn to think like entrepreneurs and features a robust list of guest talent including, Bill Gates, Jay-Z, Shaquille O'Neal, Nick Cannon, Gisele Bündchen and Kelly Rowland. The celebrities play themselves; provide their own voiceovers and lend the lessons of their own life experiences in the context of stories that are relatable and inspirational to kids. 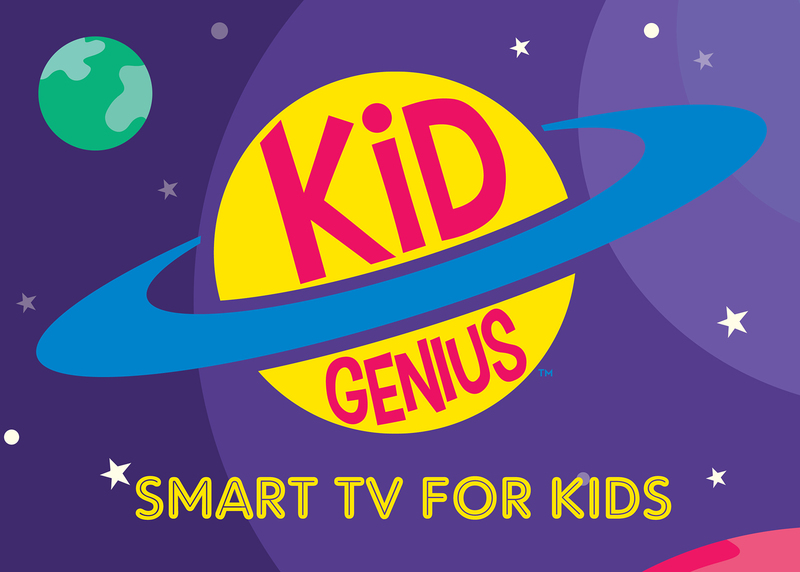 Genius Brands International debuts the Kid Genius channel this September on Comcast's Xfinity On Demand and will offer a variety of programming for young viewers (toddlers to 12-years-old) that align with the company's mission to provide "content with a purpose."